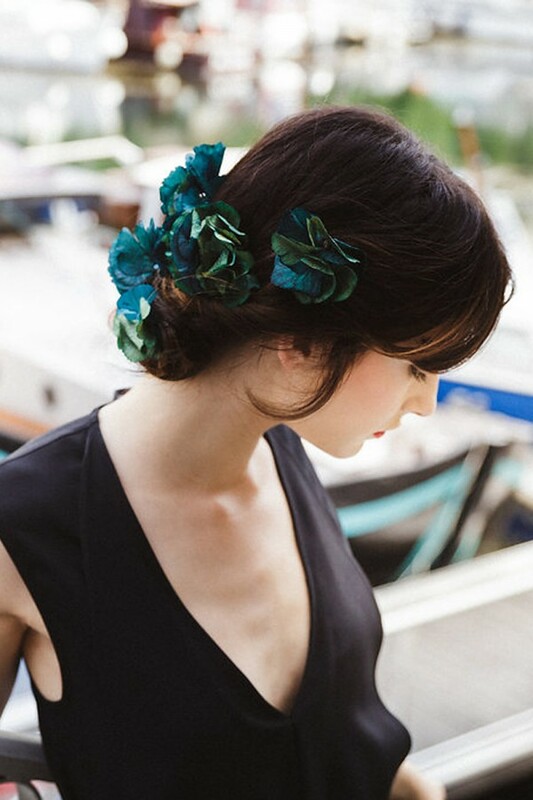 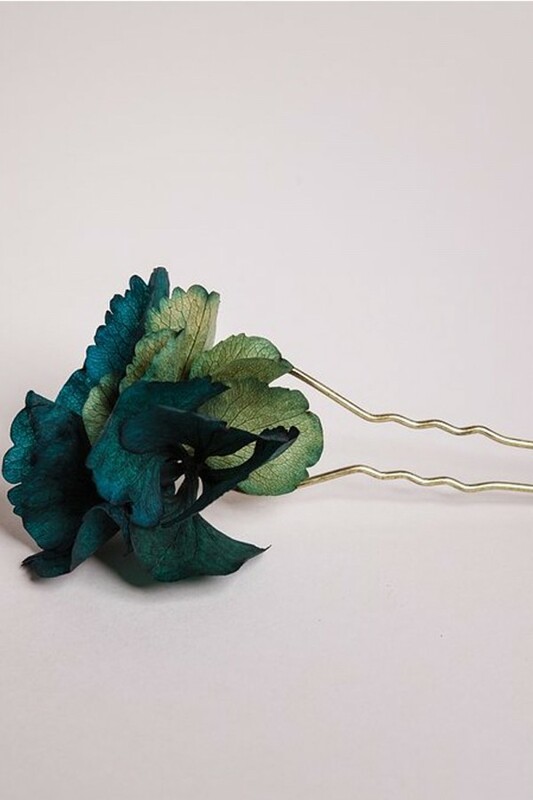 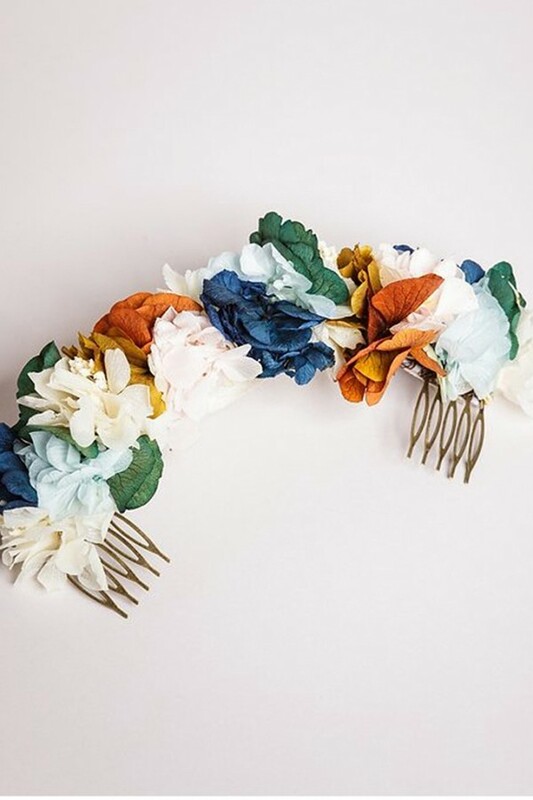 Made from large blue lagoon and blue-green stabilized hydrangea flowers, the large Noumea hair slide will complete your outfit with a pretty colorful note. 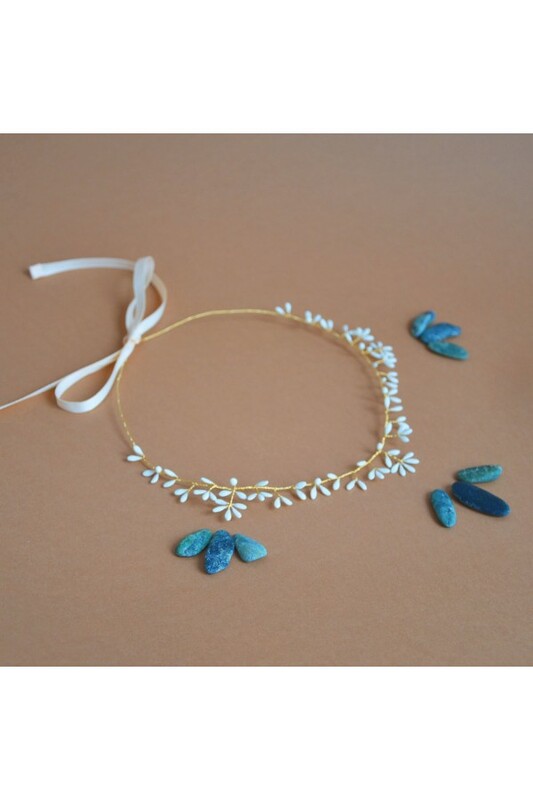 Demeter is a fine crown of white porcelain flowers, mounted on a gold plated wire. 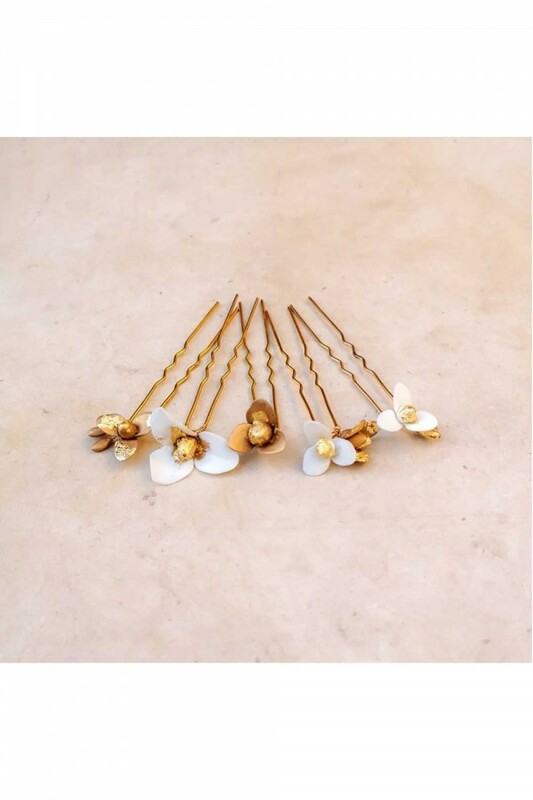 Each branch is entirely handmade by the designer. 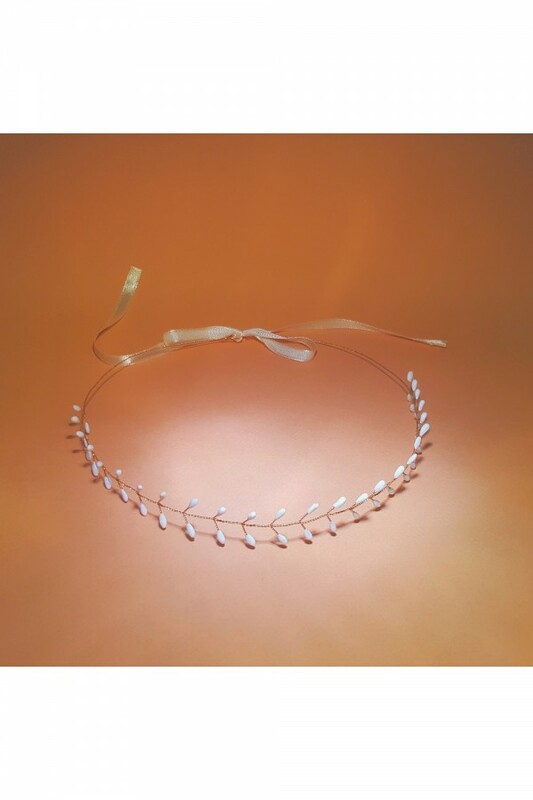 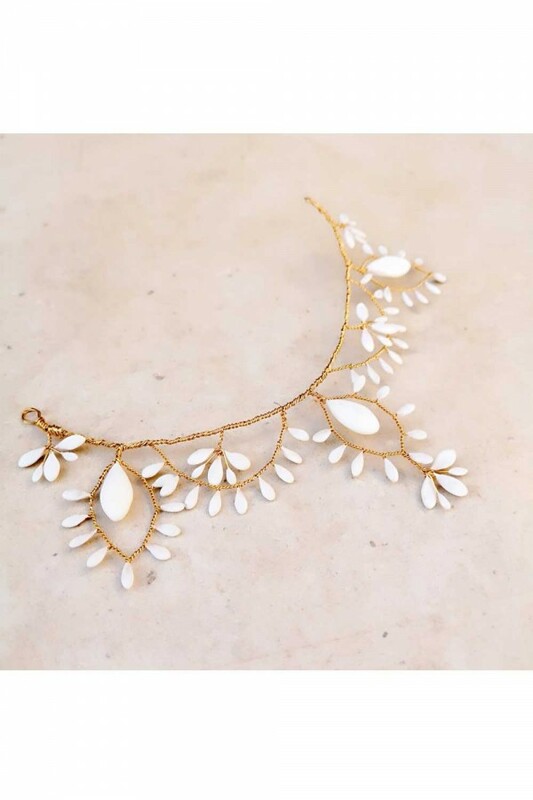 Hestia is a fine white porcelain crown mounted on a gold plated wire. 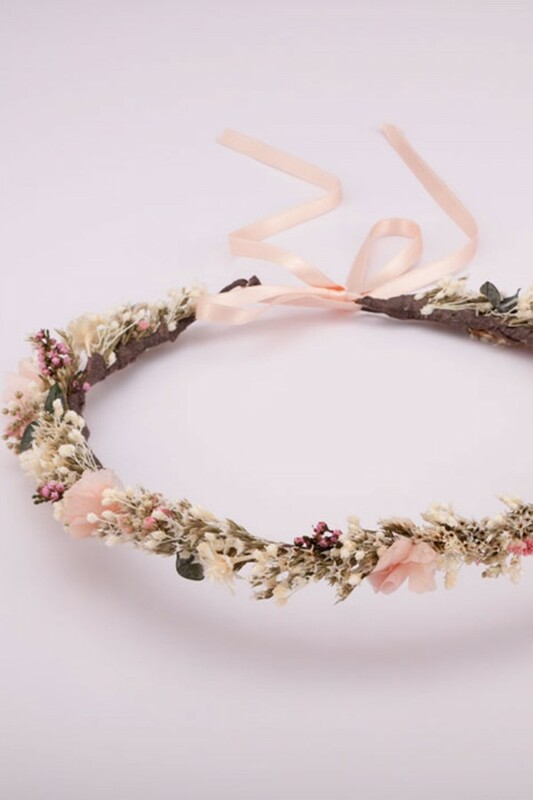 Each branch is entirely handmade by the designer. 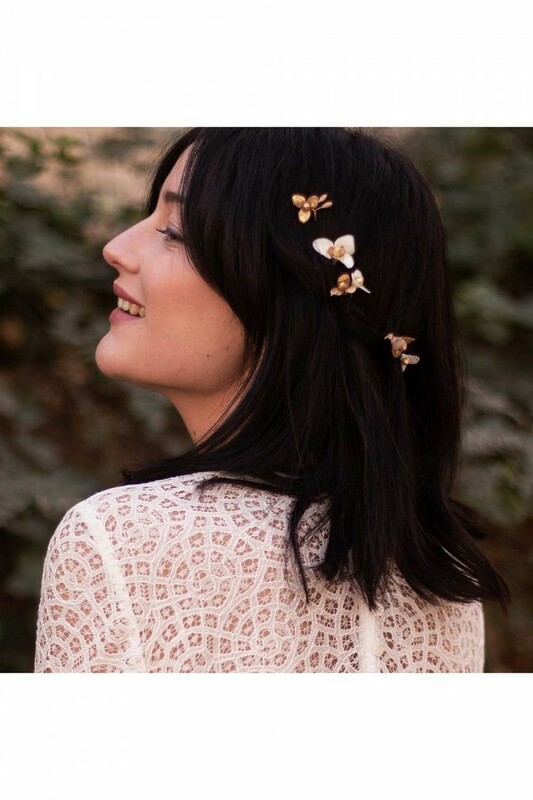 Delicate hydrangea flowers and small dried flowers, the Azalée double comb will make your hairstyle have a bohemian and romantic touch. 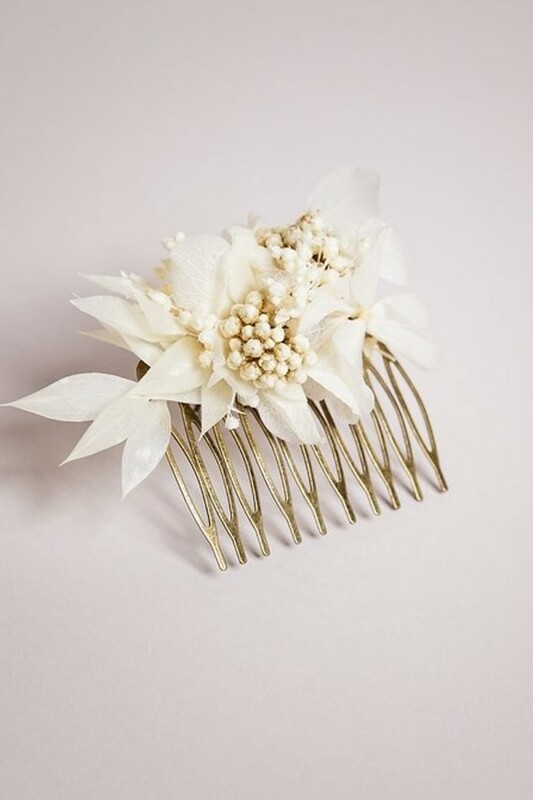 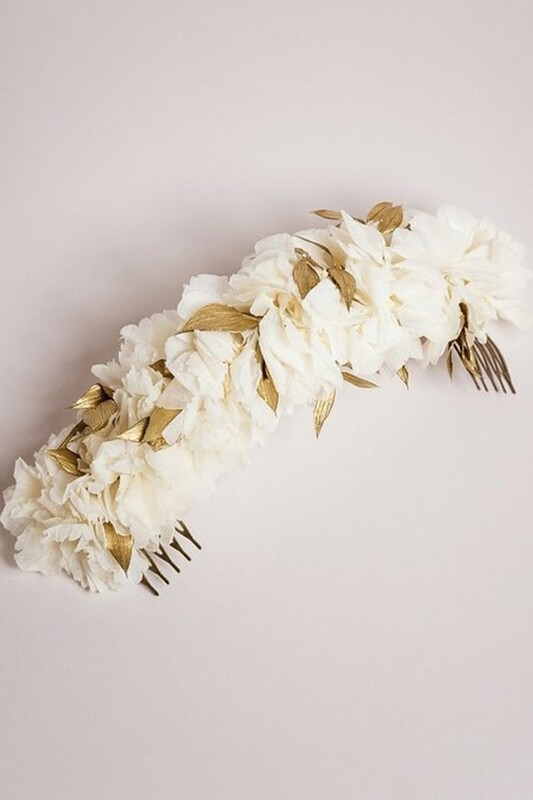 Adorned with delicate white and golden stabilized hydrangea flowers, the double Rania comb will brighten up your wedding dress with delicate gold touches. 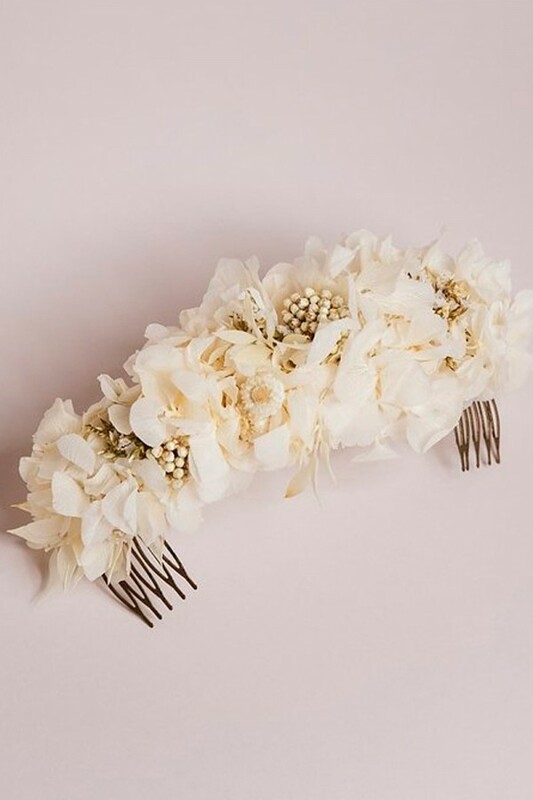 Adorned with delicate stabilized hydrangea flowers, the Penelope double comb will illuminate your hairstyle with a nice gradient of colors. 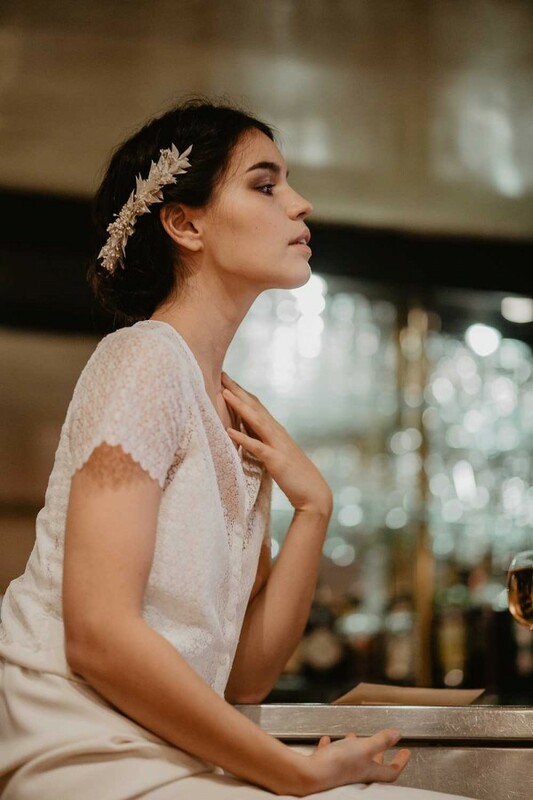 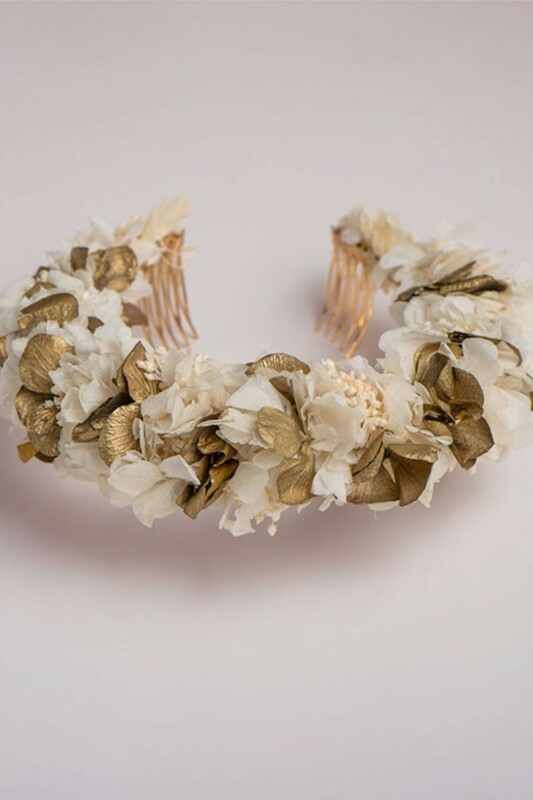 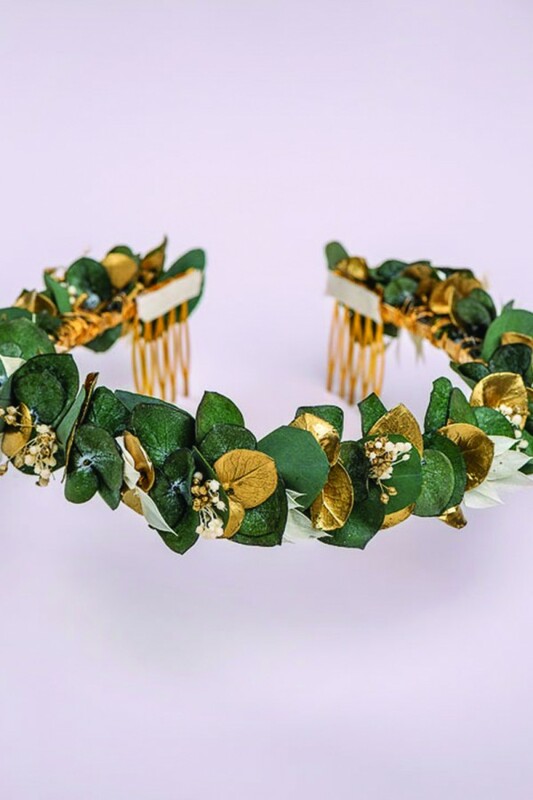 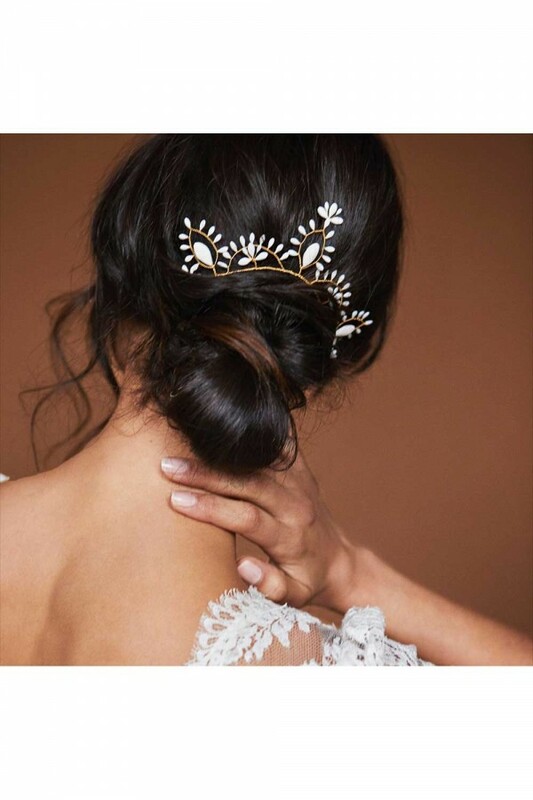 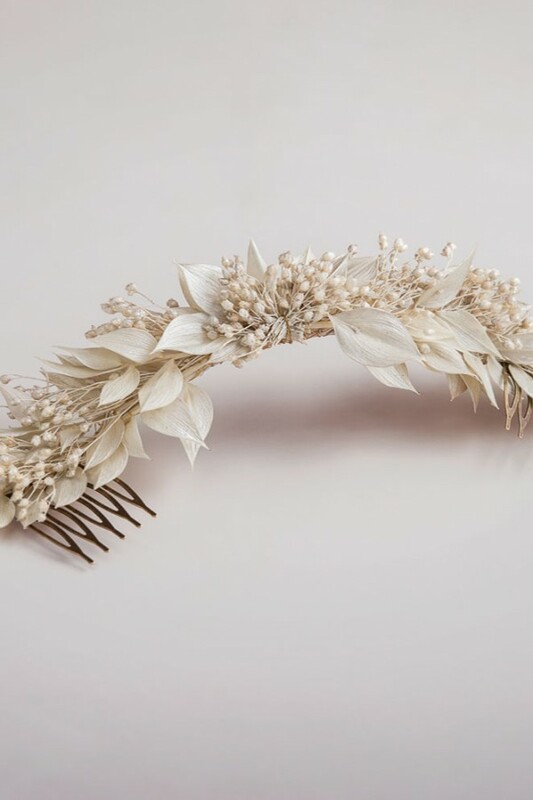 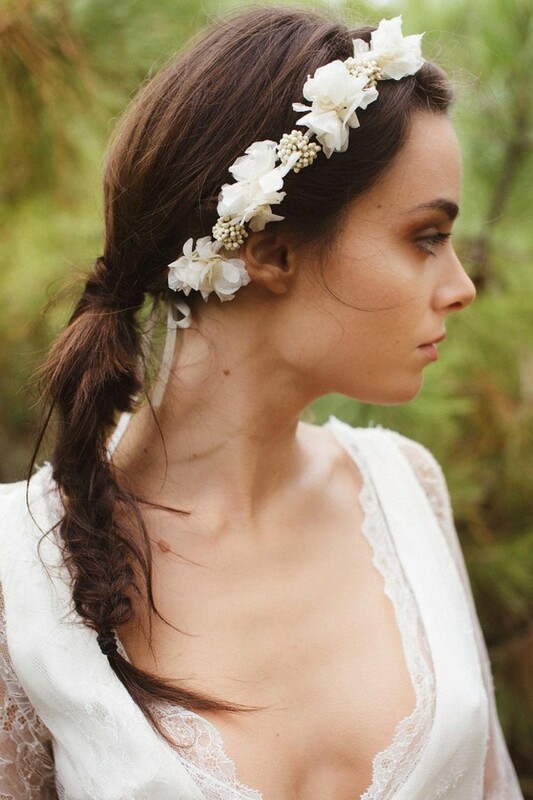 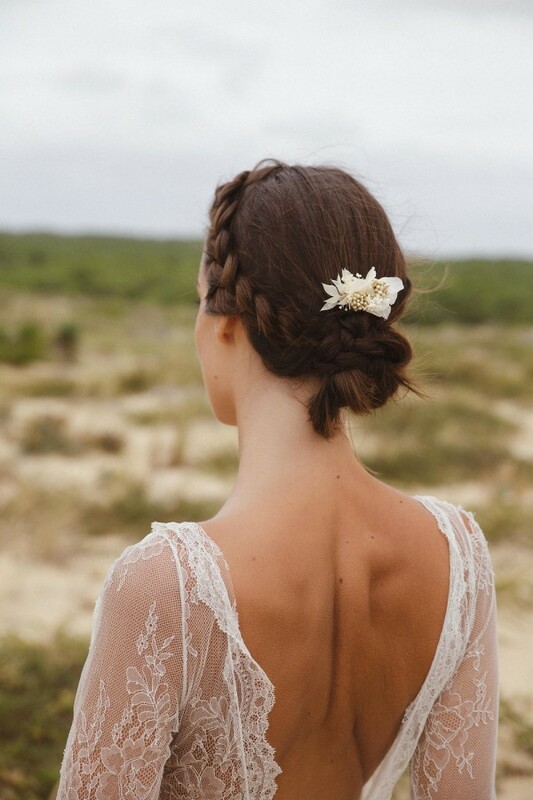 Adorned with delicate stabilized hydrangea flowers and a subtle blend of ruscus leaves and gold-pearl stabilized mini gypsophila flowers, the Aurore double comb will bring a bohemian and couture touch to your bridal outfit. 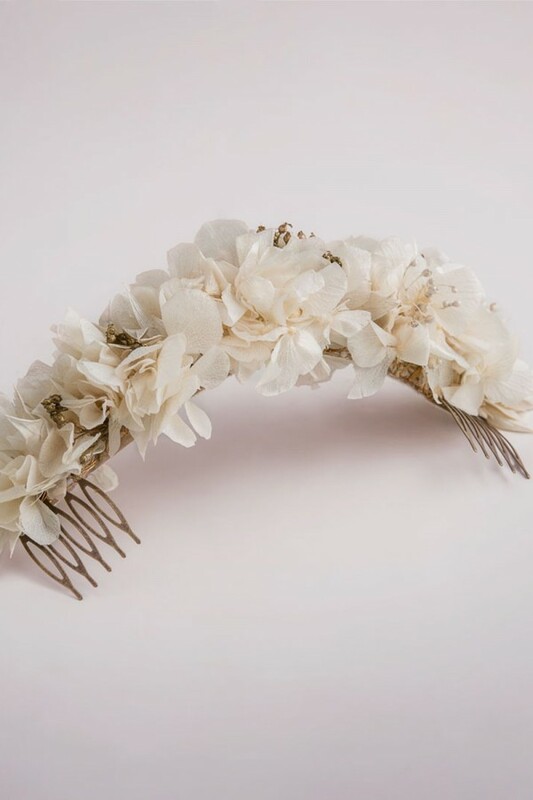 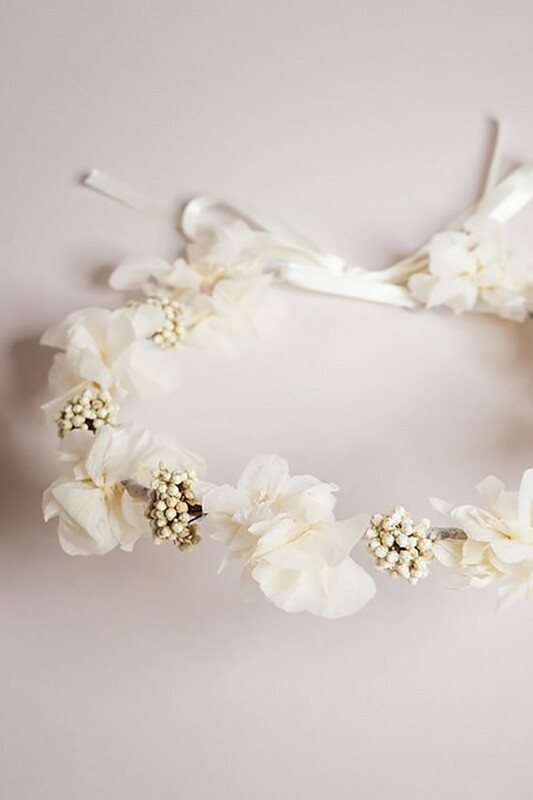 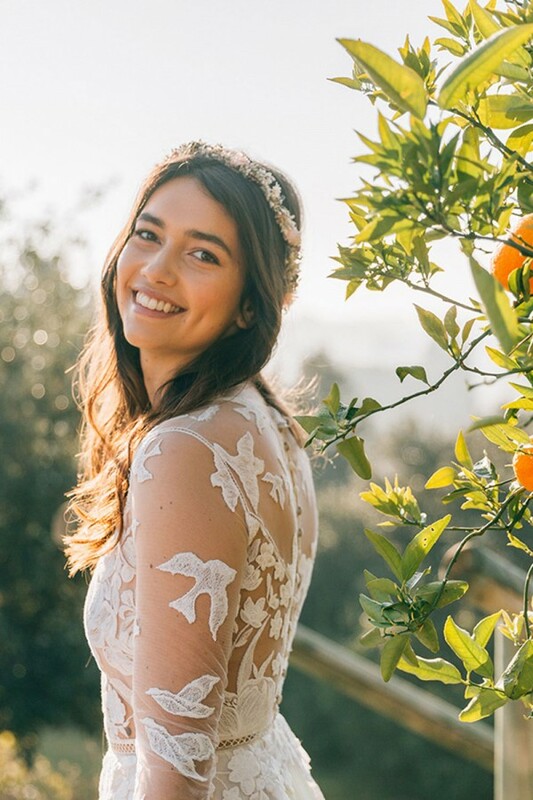 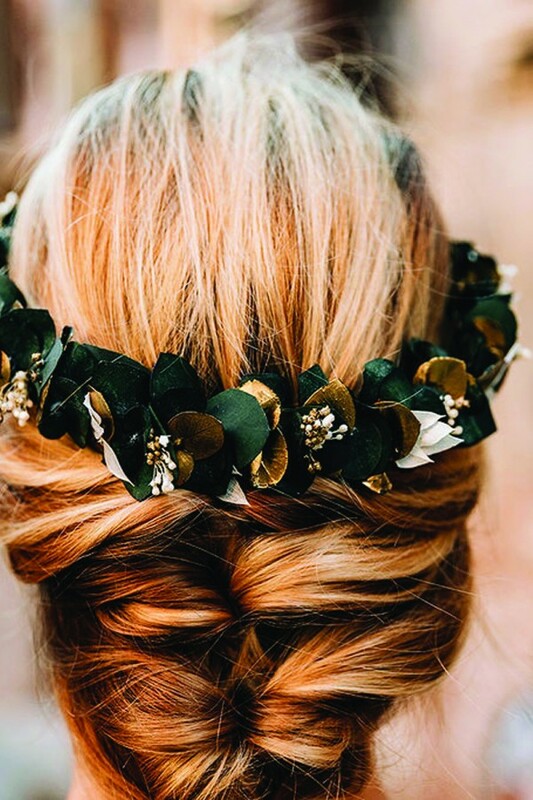 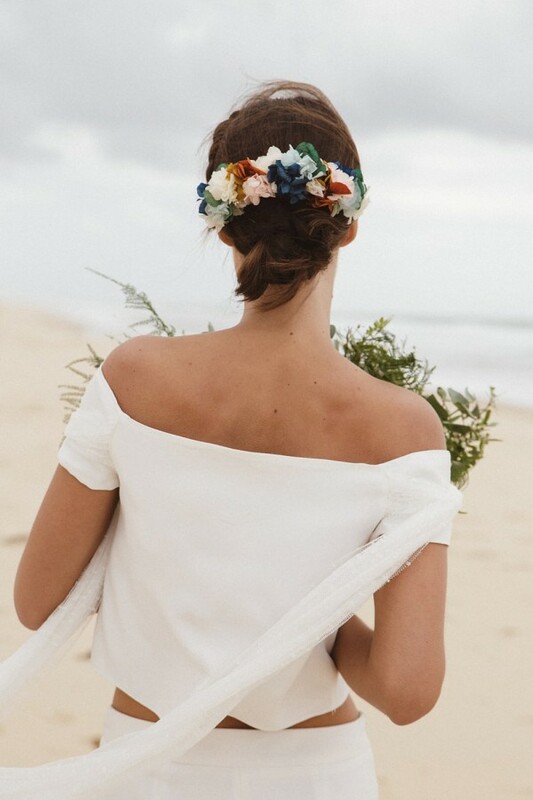 Decorated with delicate hydrangea flowers and stabilized rice flowers, choose the Caroline crown for a bohemian and romantic touch. 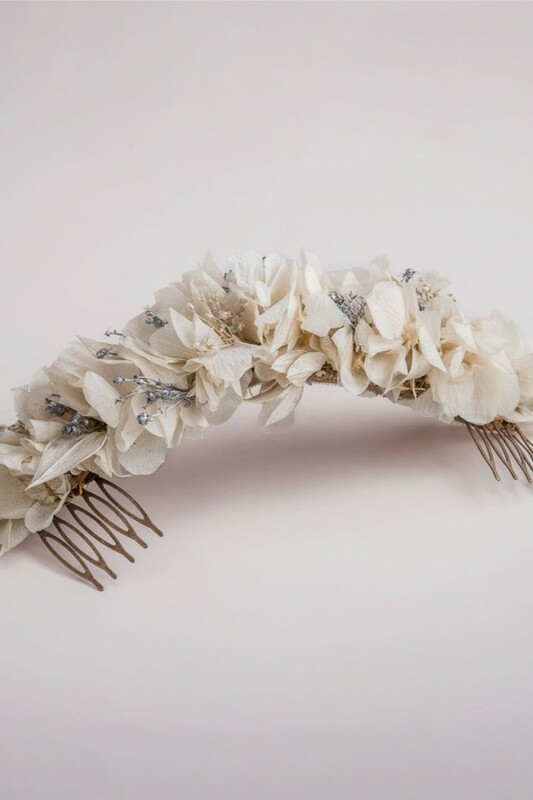 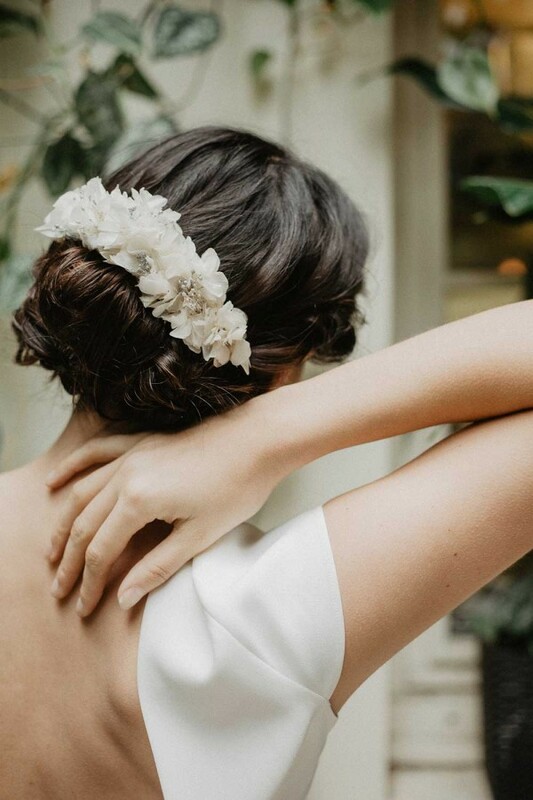 Adorned with delicate ruscus leaves and mini gyspophilic stabilized flowers, assembled by hand, the double comb Céleste will brighten your bridal hairstyle with subtle iridescent touches. 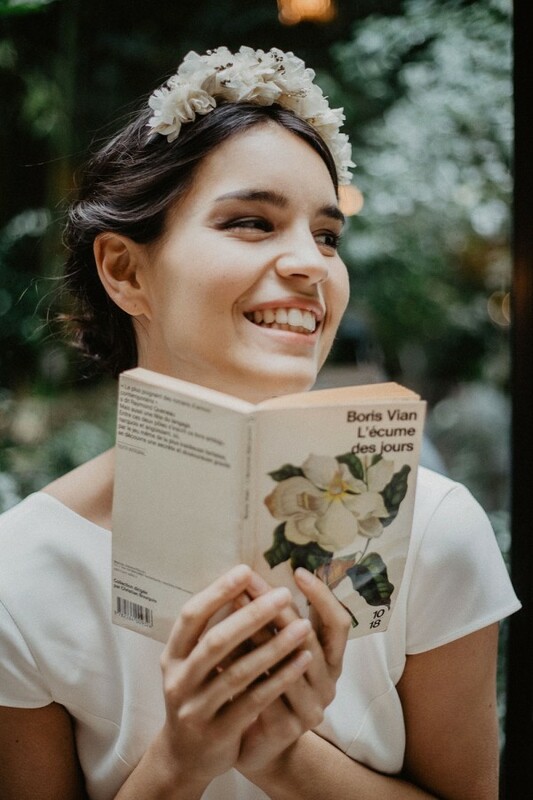 Delivery: 5 days from order (france).